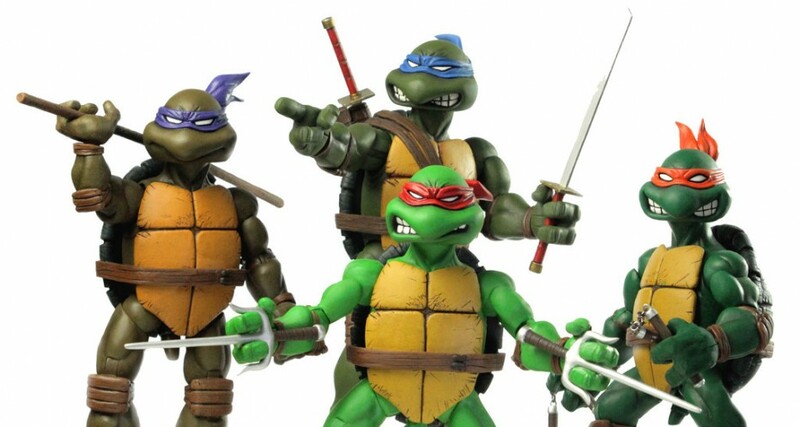 I don’t geek out on a whole lot of things these days, but one thing that springs up from my childhood every now and then are the Teenage Mutant Ninja Turtles and Mondo has just opened up pre-orders for a new set of 1/6th scale turtles. Unlike all the new variations that have come out in recent times, these figures are based mostly on the original comic book mixed in with a some elements from the original cartoon series. Mondo is company out of Texas that started out in 2004 producing t-shirts with classic film images and old school iron-on decals. Since then, they have specialized in re-creating some of Hollywood’s most iconic film posters in limited edition prints — some of which have sold for thousands of dollars! And now it seems they are dabbling in creating detailed toys. The Teenage Mutant Ninja Turtles is their latest creation and from the looks of it, they have spared no expense in capturing all the details and life-like features. The set starts out with the release of Leonardo and will follow with Donatello, Michelangelo and finally Raphael, one month apart. 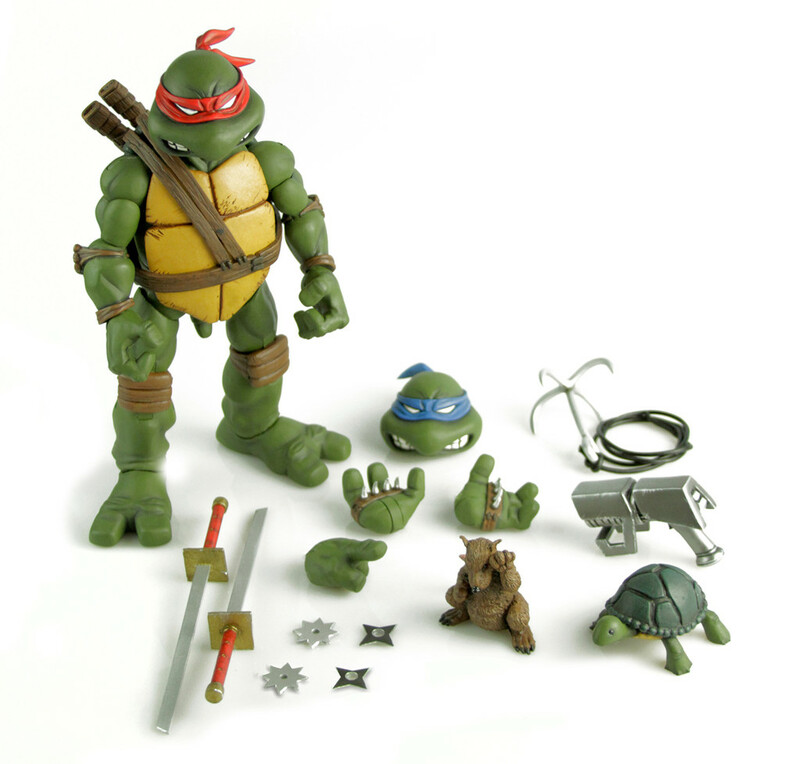 Each turtle will have a set of accessories and even two different style heads so you can pose your turtles in their original comic book red or their later cartoon colors. Each turtle will retail for $149.99. This is a steep price for an “action figure,” but considering the amount of detail in these creations plus their 1/6th size (approx. 11″ tall), it sounds about right. I think for most people, the price it worth it just for the collectable status that is sure to follow each release. For $10 more, Mondo also has a 500-unit limited edition exclusive version that adds a special weapon or some other accessory. In the case of Leonardo, you’ll be getting Shredder’s Destroyed Gauntlet as featured in TMNT issue #1. Each turtle will have a different exclusive item and will be announced at the time of pre-order. On August 27th, the Leonardo pre-orders began at 9:20am PST and for a very short period of time, Mondo offered an exclusive subscription service that would guarantee your order on ALL four turtles at $149 each. They limited this subscription to 200 and from the looks of it, was sold out within one minute! Not long after, the remaining 300 exclusive Leonardos were gone. If you’re interested in picking up this figure, you’re only option is to purchase the regular release.